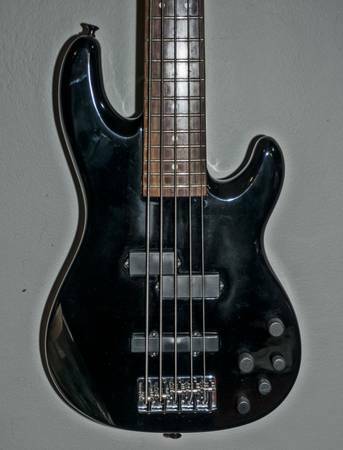 Fender Zone 5 string bass MIM. Active pickups. Pretty rare, but not terribly collectable. They weren’t a big seller, though I’m not sure why as this thing sounds and plays great! 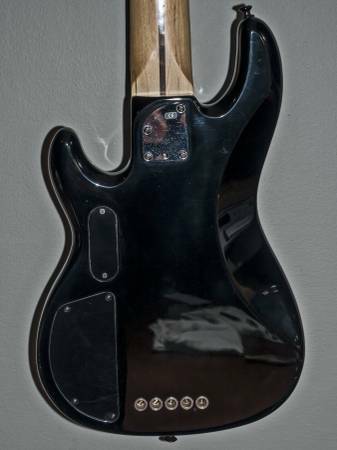 The only reason I’m selling is to finance another bass. Finish does show some wear and tear and the volume pot makes some noise. I got it used that way, and since I’ve had it it’s never been gigged. Recently set up so the action is smooth as buttah! I really like the active P + J setup, it gets some really diverse tones.